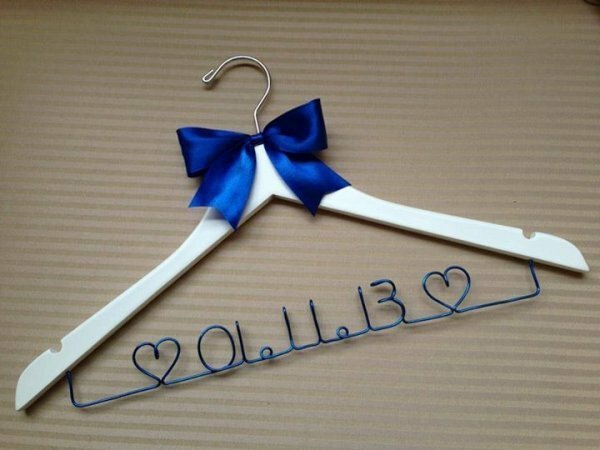 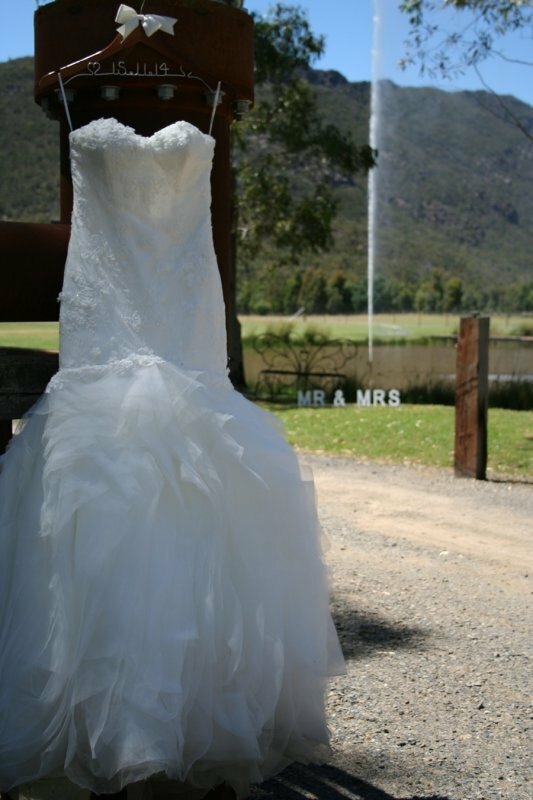 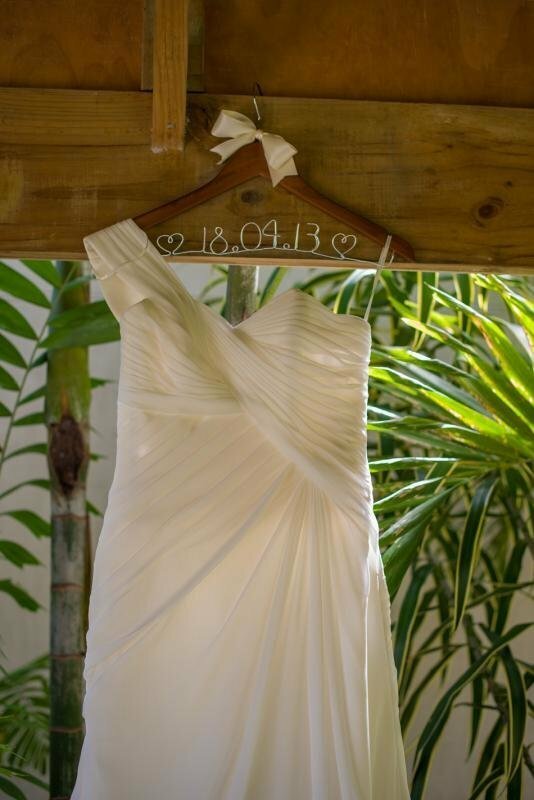 Stunning personalised wedding date coat hanger decorated with large satin bow - the perfect gift for the bride. 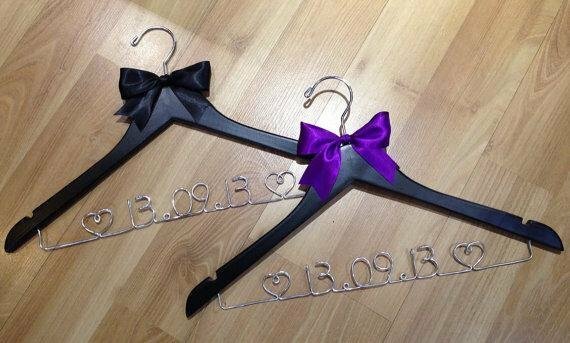 Hangers are not only a great gift, but they also look great when displaying your wedding dress or bridesmaid dresses for photos. 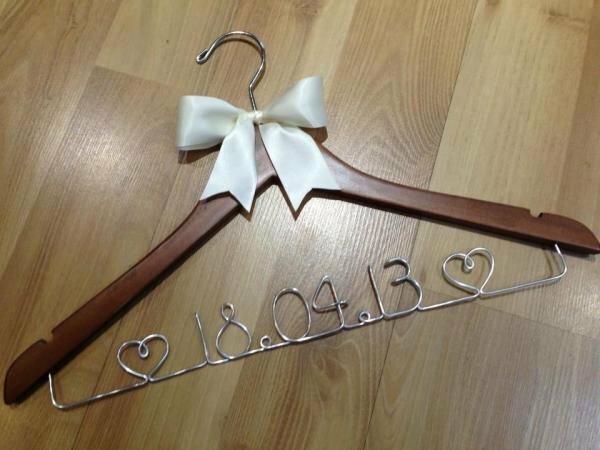 Main Picture shows: Antique cherry hanger with silver wire & large ivory bow.